Years ago I was anti-matte. Anti-matte lips, anti-matte skin, anti-matte anything. (I know, it's hard to believe) However, I could not be further from that mindset now. I LIVE for a matte lip, matte cheek, matte skin and of course, a matte eye! I especially like to create a strong eye with tons of dimension (lid, crease, liner, brow highlight) using a matte palette because the finish look is flawless. I have heard tons of rave reviews on each of these palettes so I am happy to finally get to try them for myself. 1. Viseart Neutral Mattes Palette - There was a time when I would find out about new products through magazines or in-store, but now it is almost entirely through blogs and social media. 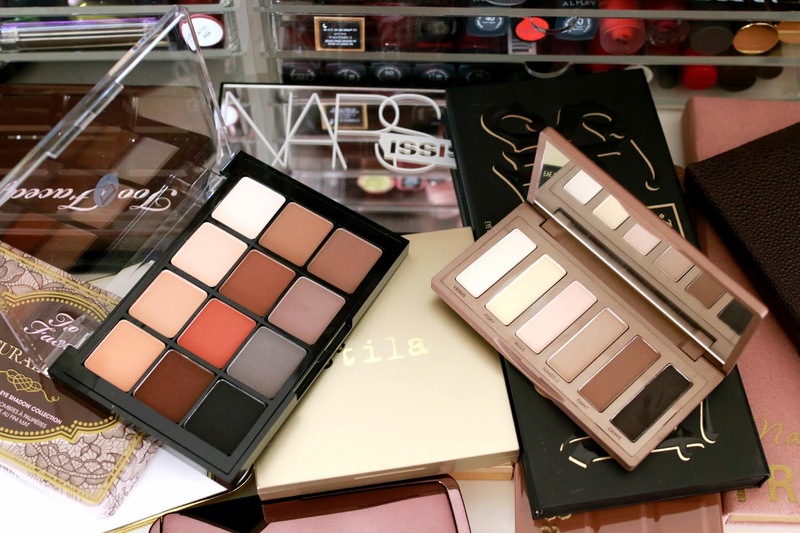 And the blogosphere is talking about these Visearts palettes. Beautylish sent this one over to me for review, and the color palette seemed right up my alley. It's rare that one eye shadow palette can be used on any and every skin tone, but this is an exception. The colors are rich, warm and strongly pigmented so I am positive they would look good on the fairest to darkest of skins. Blending with these is a breeze and if you are a makeup artist, this needs to go in your kit asap. I only had one little gripe with this palette and it was that it only contained 2 super pale shades that I could use as a lid or base color. Most of the other colors are the perfect crease and/or liner shade, but I would have liked to have had 1 or even 2 more very pale shades that I can use as a quick wash over the lid. I know, I'm so picky. What can I say? I love my boring, basic bone lid hues. But overall, this is a stunner and I can almost guarantee it will become the palette you reach for over and over again as the base for every makeup look. 2. 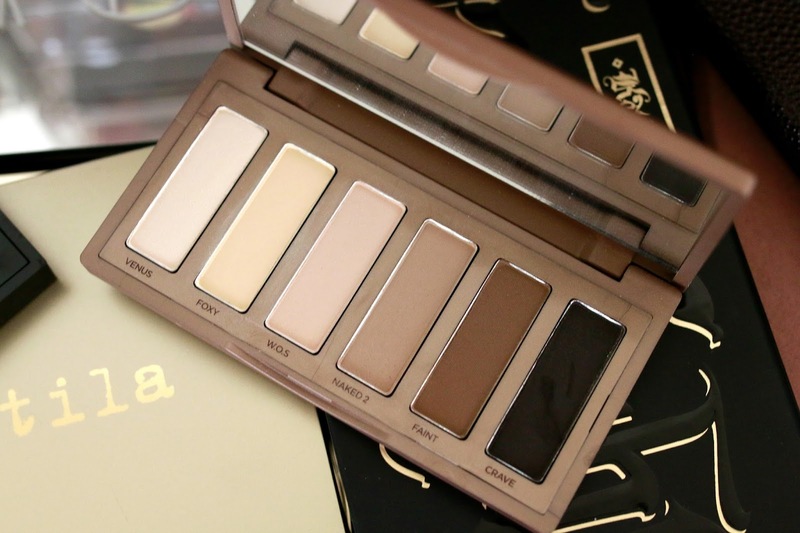 Urban Decay Naked Basics Palette - Where the Viseart was lacking in pale, basic lid shades, the Urban Decay Naked Basics palette more than makes up for that. Between the easy to carry size, the perfect balance of pale lid colors, medium toned crease colors and a dark liner shade - this palette was made for makeup bags and travel. I have decided to change the name of this palette from Naked Basics to No Brainer, because you will get a classic and appropriate-for-any-occasion eye look out of this every time. The pigmentation is rich (though surprisingly not as rich as Viseart - those shadows are dense), and blends easily. I mean this next statement as a compliment though it may not seem so at first, but this is the kind of palette that you can fall into a rut using. It is so easy, creates such beautiful looks and can be worn for day, night, weekends, etc that you will look down weeks later and realize that you haven't reached for any other palette in a long time. AND THEN YOU WILL BREAK DOWN AND GO TO SEPHORA TO FEEL WHOLE AGAIN. But you will come back to this one time and time again, because it is one of those palettes that you can't quit and will most definitely hit pan on. Or at least I predict I will. Challenge accepted.